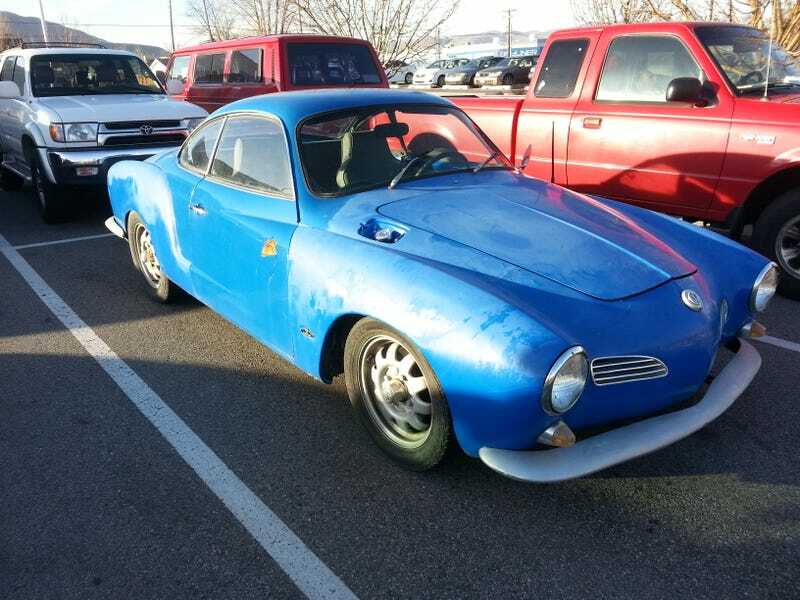 The paint is certainly rough, but come on, how often do you see a Karmann Ghia out and about? And here's a shot of the Vanagan in the background of the first photo. Whoever owns it DD's it to work, it's right there almost every day.